Thermal runaway is a condition of standby batteries where a positive feedback current loop can result in an exponential rise in temperature. The temperature rise can end in an explosive condition, resulting in the destruction of the cell and usually its neighbours as well. CCPS has launched its latest product, a thermal safety system for standby battery systems. ReliaTherm daisy chains a series of temperature sensing modules, one per cell (or monobloc) and has two alarm levels, one for single over-temperature cell and a group alarm for 4 or more cells. 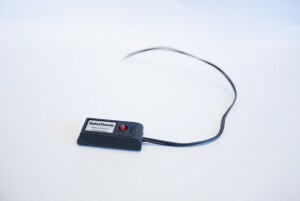 Warning indication is controlled by the ReliaTherm monitor. Aimed at assisting in the prevention of thermal runaway in standby batteries, sales of the ReliaTherm system are already substantial and more orders are on the way.